Lovely brick front 4 Bedroom, 2 Bath Pool Home on a preserve lot. Home offers 2,253SF under a newer Roof-Oct. 2015 & new A/C in June 2009. Spacious Foyer makes for a beautiful entry. Kitchen has raised panel cabinets, Stainless Steel appliances & is open to a cozy Morning Room. Formal Dining & Living Rooms are filled with natural light from the floor to ceiling palladium windows. 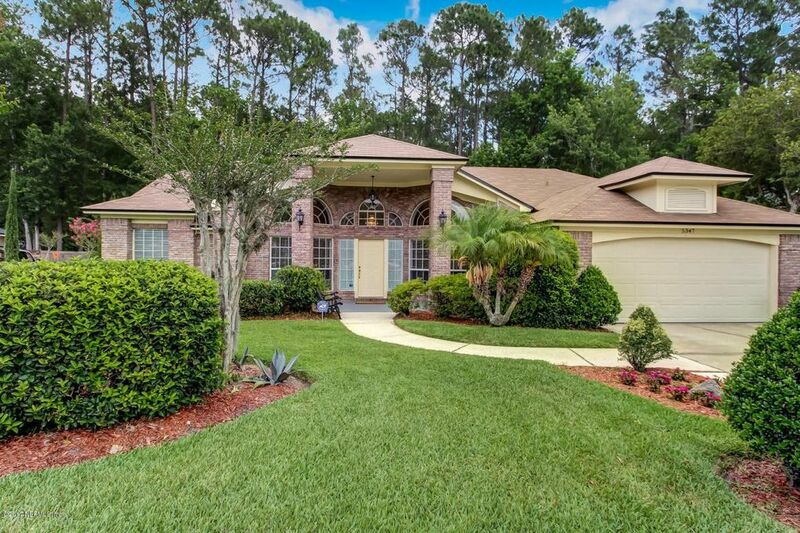 Large Family Room has a brick fireplace & sliding glass doors that open to the covered Lanai. Master Suite has a large walk-in closet, & French doors providing access to your backyard. Master Bath features double vanities, walk-in shower & jetted tub. An oasis awaits you on your large covered Lanai & sparkling screened Pool. You are sure to enjoy many hours relaxing and/or entertaining in your private paradise. Directions: From I-295 Go North On St Augustine Rd To Right On Losco Rd. Left On Hood Rd S To Left On Heronview Dr. Home Is On The Right.